Are you comfortable being yourself in all situations? If you’re like most people, you’re 90% you when you’re with close friends, 50% yourself with casual acquaintances, and hide yourself from strangers. Being your true self, your true ME in all settings and situations is scary, but ultimately empowering and relaxing. Imagine the relief you’ll experience. You no longer worry about what others think about you. You can relax and just be yourself and feel satisfied. You know you are good enough! Be yourself and enjoy the life you’re meant to experience. 1. Meditate. Meditation quiets the part of you that judges and labels everything around you. Gain some insight into the real you by meditating regularly. 2. Tell the truth. When you’re truthful, you reveal yourself. Be honest about your mistakes and shortcomings. 3. Be unique. Your true ME is unlike everyone else. What music do you listen to when you’re alone? How do you dress? What are your talents? Do you keep the unique parts to yourself or are you willing to share them with the world? 4. Examine the areas in your life that feel inauthentic. When and where do you feel like you’re lacking authenticity? Often it will be during interactions with strangers, first dates, new social experiences, and more formal occasions. A lack of authenticity can also occur when you spend time with your parents and siblings or any other person who doesn’t support you. They just need you to be someone you’re not for them to feel okay about themselves. So, it’s easy for you to fall back into your old roles. 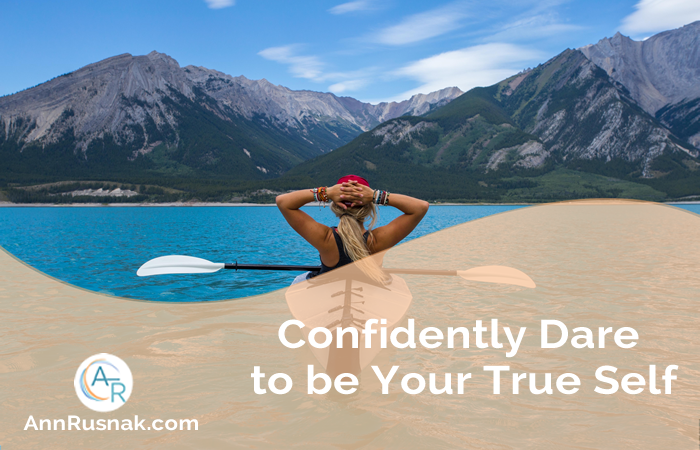 Think about the times you’re inauthentic and ask yourself why. 5. Spend your time on things you enjoy. What do you really enjoy? Do you play on the softball league so you’ll fit in? Would you rather be taking rumba lessons? Spend your free time on the things that you’re most passionate about. 6. Do one thing you want to do but are afraid to try. The people at the office might laugh if you take up the cello or take an acting class. However, secretly, they’ll be jealous that you have the nerve to do something unconventional. Everyone you know is stifled and bored. You can rise above all of that. 7. Express your opinion. Not necessarily all of the time, but give your opinion if it won’t hurt anyone. Going to see a movie with some friends? Tell them the movie you’d most like to see. The family wants to go to the public pool or the park? Let your opinion be known. 9. Strengthen your boundaries. Where your boundaries are weak, your true self is being smothered. These are the places we allow others to determine the rules and set the frame. You’ll know these places by the high amounts of energy they drain from you. Overcome your need to fit in and impress others. No matter what you do, some people will be impressed and others won’t. Why worry about it? Let your Magical Essence shine. You’re an amazing person. Allow yourself to be that person every day. 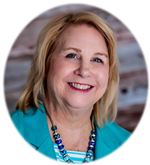 Discover the 7 Steps to Unstoppable Success and gain the focus and confidence to break through the limiting belief holding you back from achieving your desired lifestyle and business goals. Receive your FREE Unstoppable Success Kit with your The Journey to ME book purchase today. As humans, we’re sometimes very hard on ourselves. Whether we’re conscious of it or not, our beliefs can hold back our dreams and goals… no matter how hard we work toward them. Unfortunately, these negative talking in our head sometimes keeps us stuck and puts our lives in a holding pattern. A great psychologist, Albert Ellis, had many tokens of wisdom to pass around. One of his ideas centralized around these negative thoughts, which he often referred to as irrational beliefs. 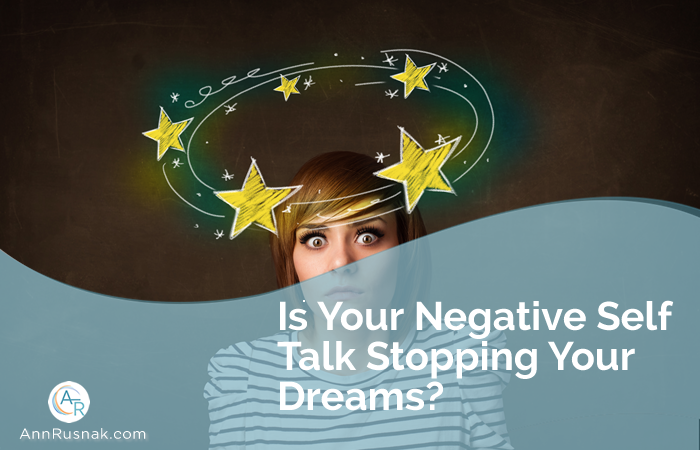 Discover how you can stop this vicious circle and turn your self-talk into words that support and encourage you, instead. The first step to stopping negative self-talk is figuring out what is triggering these negative beliefs in the first place. Albert Ellis called these so-called triggers “activating events.” These can be everyday occurrences that happen to us or around us. Anything from having your boss or supervisor yell at you and take away your project to experiencing a run-in collision with a deer on a country road can be an activating event. Are you in conflict with another? Did something not go your way? Further, triggers can also be incredibly personal to you and unique to your life. These are sometimes referred to as “red flags.” Red flags are issues that pertain to you alone, such as your weight, family and close relationships, integrity, and anything else that you deem sacred. When these issues get raised, they immediately set off an alarm within you. These irrational beliefs are the real culprits behind why we get upset or angry at the triggers we’ve just experienced, according to Albert Ellis. It’s not the trigger itself, but the beliefs that cause the negative self-talk. Ellis claimed that these irrational beliefs are responsible for our emotional states, also known as the consequences of our beliefs. In this way, by identifying and then changing these beliefs, we can experience fewer emotional consequences. You just learned that you got turned down for a promotion at work. Getting turned down for the promotion is the activating event or trigger. These beliefs or thoughts can lead to emotional consequences of sadness and depression. The idea behind identifying these negative, irrational beliefs is so you can do something to change them. You can change them by challenging these beliefs. This is a process of examining the truth and reality and seeing that it is different from your belief. In the prior example of getting turned down for a promotion, a series of questions can be asked to help you sort through reality from these irrational beliefs. You want to challenge yourself by asking questions that are almost the opposite of your identified beliefs. What is the truth in this situation? Do I have evidence to support that my current beliefs are true? In the example above: Are there times when my boss has been fair? Is it true that I’ll never advance in my career, or is this just a minor setback? These questions can help you identify the truth from what you may erroneously believe or negatively think about a situation. If you can identify the truth, this can lead you to think differently and avoid suffering the emotional consequences of the trigger in the first place. Follow this process whenever you notice thoughts that are unkind to you. Change your beliefs and you’ll find your self-talk becoming words of encouragement, instead. Tired of change being hard? You can make significant changes with EASE when you know the secret! How would you like to achieve a big goal? Achieving big goals is a science. We’re not talking about losing 10 pounds or cleaning out the attic by the end of the month. A big goal is losing 50 pounds or doubling your income. My friend Stephanie Rainbow Bell, wrote a best-selling book, Beautiful at Any Size, based on the concept of releasing 100 plus pounds is different than someone wanting to remove 10 pounds. The average person can effectively accomplish smaller goals but often struggles with bigger ones. Big goals aren’t more difficult to do. They just require more time. It’s important to measure your progress. Big goals take time, and it’s easy to become discouraged. It’s common for most of the results to occur near the end of the process. Perseverance is critical. Measuring your progress provides the motivation to keep going. Since big goals can take more time, it’s important to know that you’re on the right track. Maintaining an awareness of your progress or lack of progress will allow you to change your approach as needed. Make big goals a priority. How many times did you set a goal, only to forget all about it in a week? Remind yourself of your goal each day. At the very least, read your goal once per day. Consider reading, writing, and visualizing it twice per day. There are many techniques to deal with this discomfort. You can meditate. You can focus on a positive outcome. You can reframe the situation. Do whatever helps you to feel better. If you can’t visualize the achievement of your goal and feel 100% positive, it will be challenging to achieve. Your ideal body is the result of your eating and exercise habits. Losing 50 pounds is the result of having the appropriate habits and being patient enough to enjoy the results. What habits do you need to implement to make achieving your goals automatic? Avoid the belief that huge success is the result of a single, spectacular action. Small changes in behavior and focus can provide the same, impressive results over time. Rome wasn’t built in a day, so it’s not fair to expect something amazing to happen in a week. Set a reasonable timetable and relax. Big goals are marathons, not sprints. Read biographies of those that accomplished impressive things. The time and patience spent by our heroes are impressive. Practice patience by learning to be patient in everyday situations. We all have plenty of opportunities. Waiting in line, sitting in traffic, or waiting at the doctor’s office are just a few examples. Just relax and breathe. Only choose goals that are highly meaningful. A goal is much easier to achieve if you passionately want to achieve it. Some people bite off more than their motivation can chew. A big goal requires commitment, sacrifice, and time. Avoid goals that aren’t worth the cost. You’ll only be wasting your time. Big goals are exciting and life-changing, but big goals are often avoided because of the likelihood of failure. There is a process to making significant changes in your life. Be clear on your objective and create habits that bring you closer to that objective each day. Measure your results to stay motivated and ensure that you’re making progress. Before you know it, you’ll reach your first big goal! 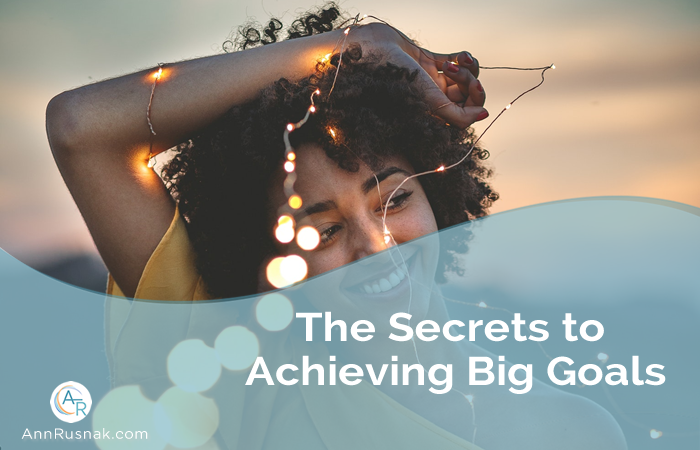 Ready to Go After Your Bigger Goals? Goals are very powerful. What’s the likelihood of accidentally accomplishing something that makes your life much better without goals? Great accomplishments require intention. Having intention keeps your mind sharp and searching for solutions. Unfortunately, most of us were never taught how to set effective goals in school. Setting too many goals. 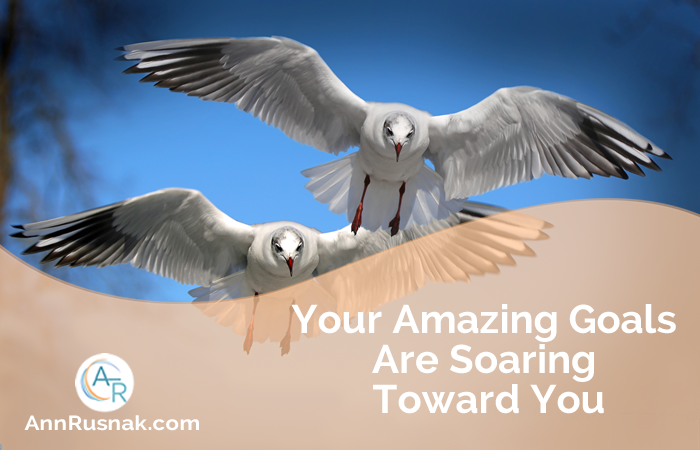 Instead of having a multitude of goals, try setting one highly meaningful goal. When you have a history of success, increase the number of goals you’re simultaneously pursuing. Too many goals can be overwhelming and spread your resources too thin. Choosing goals that aren’t highly meaningful to you. If you’re going to limit yourself to a single goal, it’s especially important to choose one that’s highly desirable to you and will have a great impact on your life. The more you want it, the more likely you are to aggressively pursue it. Expecting things to go smoothly. A highly desirable and meaningful goal is unlikely to be reached quickly and easily. Expect a few bumps along the way. Keep a positive attitude and simply assess the situation when things don’t go the way you had hoped. Change your approach and try again. Using this process to move closer and closer to your goal, regardless of the circumstances, how could you not be successful? Not recognizing signs from your subconscious. If you’ve set a desirable goal, it’s only natural that you’d pursue it aggressively and enthusiastically. If you find yourself procrastinating, losing your enthusiasm, or failing to take action for any reason, your subconscious is trying to tell you that something is amiss. Setting an unreasonable timeline. Things always seem to take longer than we expected. Try to be realistic and set a deadline that’s reasonable and takes into account a few challenges along the way. By not giving yourself enough time, you’re risking the possibility that you’ll feel discouraged when you don’t complete your goal on time. Failing to measure your progress. Imagine having a weight loss or financial goal but never weighing yourself or measuring your income. You’d never know where you stood relative to your goal. Review your progress on a regular basis. Setting goals that aren’t realistic. There are many goals that appear unrealistic, yet are realistic with an adequate deadline. However, there are also goals that are highly unlikely to be reached. For example, if you’re 55 years old and 5’ 5”, you’re not going to play in the NBA. You can accomplish great things, but some things simply aren’t an option, regardless of the timeline. Seek wisdom in telling the difference. Setting goals that take too long. It’s much easier to stay focused on goals that are limited to around 12 weeks. If you have a goal that will take longer than three months, determine where you would expect to be in three months and make that your goal. Big goals are likely to require several smaller goals that ultimately lead to its completion. Not having a clear endpoint. An effective goal is measurable and has a clear endpoint. For example, “making more money” isn’t an effective goal. A penny is more money. Would you be satisfied with that? Be as concise as possible. Ensure you can measure your goal. A goal is a gateway to a happier life. But setting effective goals takes practice, and it’s important to avoid making these common goal-setting mistakes. 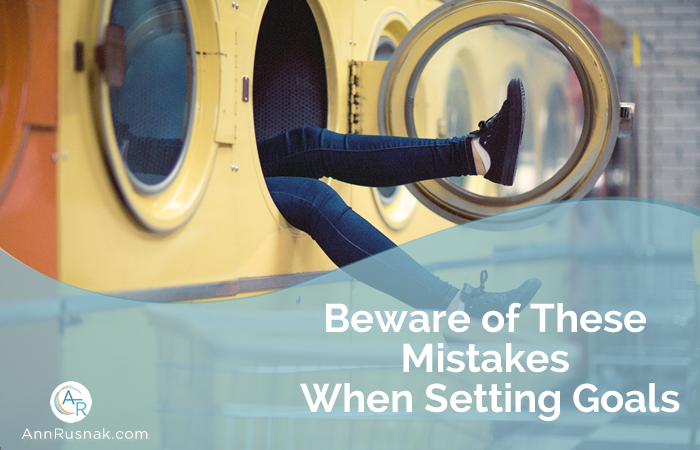 Avoid these mistakes and you greatly increase the odds of realizing success! Do any of these mistakes hold back the goals you made? Whether you realize it or not, every day brings you closer to your goals and dreams. You may feel like you have a long way to go, but you’re closer than you think. Avoid giving up or getting discouraged. Keep moving forward. Every setback is a learning experience that brings you closer to your goal. When people tell you all the reasons you’ll fail, or when you try to do something but receive a less than perfect outcome, avoid taking to heart. People always have opinions, and they can be – and usually are – wrong. Each failure can be a stepping-stone if you turn it into one. Even professional athletes and actors make mistakes. It’s okay to be human! Your successful outcome may arrive next month, next week, or even today. When you stop before you complete your goal or dream, you lose the chance to see yourself completely fulfilled and reach the destiny that you were created for. You just might be hours away from your goals! Moving forward is critical to reaching your goal, and you can find ways to keep going each and every day. When you look for ways to move ahead, you inch closer and closer to your goal. As you see it getting closer, you’ll put in a greater effort to reach it. That speeds up the process and it makes you happier and healthier, both mentally and spiritually. Keep a journal so you can keep track of what you’ve accomplished every day. Surround yourself with like-minded people who are also interested in achieving a common goal. Remove negativity from your life by choosing to focus on happiness and joy. Stay busy, instead of allowing yourself to just sit around and make excuses. Remember that reaching a goal can mean a dramatic change in your life. This is often a change for the better, however. With change comes uncertainty, and uncertainty is uncomfortable for many people. If you’re willing to leave your comfort zone, you can experience an abundant life of prosperity and joy that is filled with everything you’ve always dreamed about. Embrace the changes that lead to the future you deserve. It’s important that you understand the value of change and accept that it can bring much good to your life. Certainly, there are unpleasant changes that can occur in your life. However, if you keep taking steps forward toward your dreams, most of the change you’ll experience will bring satisfaction to your heart and fulfillment to your soul. Accept, enjoy, and celebrate the changes that come into your life. Learn to be comfortable with being uncomfortable, and you’ll be in the driver seat toward your destiny. If you confidently go after what you want, you can confidently expect that the changes you experience will be positive ones. Keep an open mind and a positive attitude. Expect success and you will attain that success! Are the goals you set at the beginning of the year, now a fading memory?